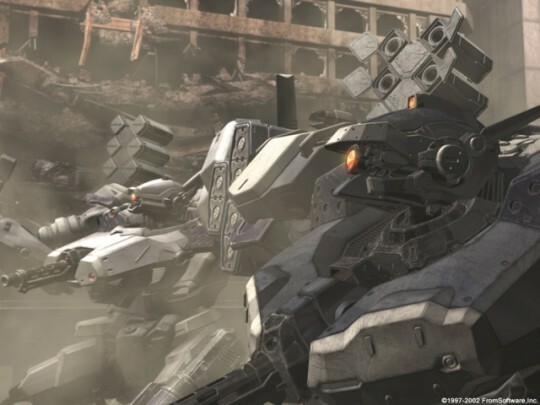 The results of a Japanese nationwide Armored Core: Last Raven Portable tournament held last May 29 are finally in, gathering 8 ravens from all over Japan to one tournament to find out who is indeed the Last Raven. 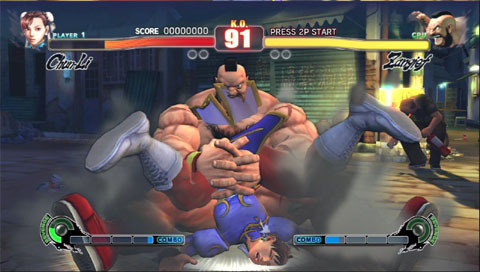 A Dengeki Online coverage of the tournament noted some observations from PS2 PvP games of ACLR, most significant is the greater difficulty of aerial battles due to the limitations of the PSP’s button configuration, making the look-up and look-down functions a bit more awkward compared to the PS2 version. In addition, there is greater emphasis on range control, or darting in and out of one’s effective weapons range to dish out damage instead of short range slug-fests. Much of the player victories are attributed to AP lead instead of destroying an opponent’s AC. 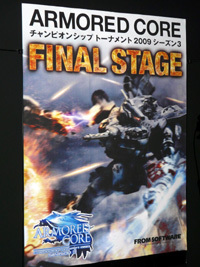 The official From Software sponsored Armored Core Championship Tournament has completed its preliminary round for its 3rd season and uses the recently released Last Raven Portable on the PSP platform. The well documented tournament has a wonderful set of videos coming from the Kinki and Tokai prefectures of Japan as of the moment. A quick look on the new videos reviles the absence of new parts included by From from any of the Portable series releases, which leads us to think that the top players in this tournament prefer tried and true formulas rather than embark on a risky experiment with their designs. 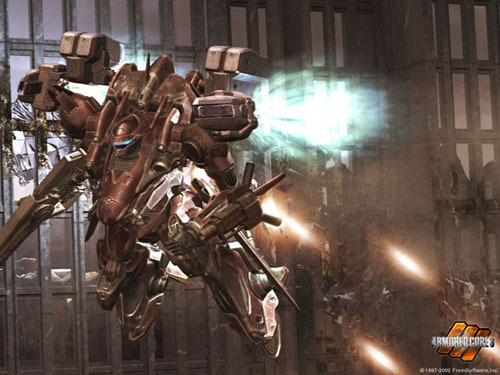 In addition all the designs used the very powerful TP booster, which was banned in many tournament circles outside Japan as well as our very own Philippine Armored Core Tournament for the past 5 iterations. Much of the fights also boil down to a war of attrition, with hangared pulse weapons and handguns taking center stage. 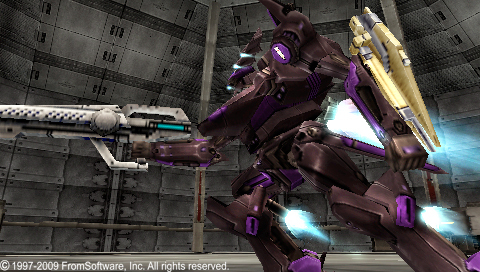 Now that Armored Core Silent Line Portable has been released in English, people might wonder how different Silent Line is compared to its predecessor and the rest of the Armored Core games. As evidenced by the videos above and to follow, a lot has changed from the days of Armored Core 3 Portable. These videos were taken from Naitoh’s AC site some time around 2003-2004 during various sparring sessions or actual tournaments on the PS2 version. These featured are probably among best Ravens to ever pilot an Armored Core, so its worth watching them. Maybe these fights might inspire some people to play AC more often and learn a couple of things in the process. One important thing to note: all these videos are played in hard mode, meaning all the lock boxes are much smaller. 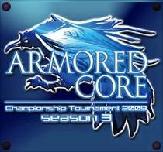 The officially sanctioned Armored Core 3 Portable tournament by From Software has finally ended and just in time prior to the release of Silent Line Portable. The results are up as well as tournament videos from various tournament locations all over Japan. 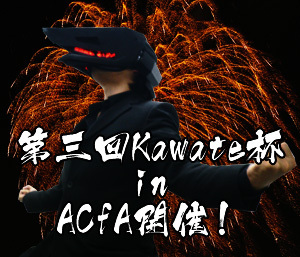 Long time AC fan Naitoh, who has been an excellent source of information on the Japanese Armored Core scene, has recently uploaded videos of “Matsuri 2″, a Japanese Armored Core 3 tournament held back in January of 2003, on his YouTube account. Sadly, we have no further information regarding the tournament such as its rules and part restrictions. Beyond that, the only information we can confirm for sure is the slight lag with the 2nd player because of the i.Link connection, as mentioned by Naitoh himself, a given problem in the AC3 and SL editions of AC.